Jali wins it in extra-time! 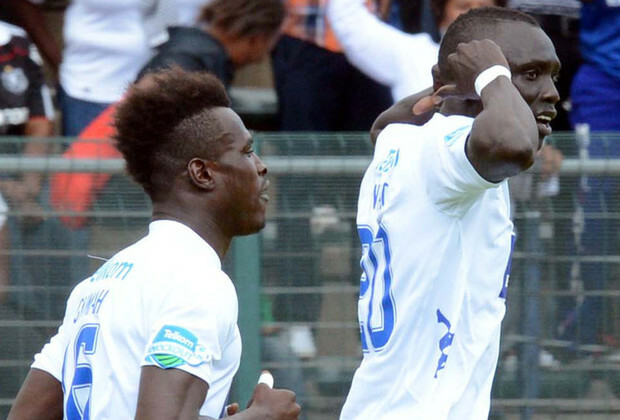 Mame Niang had given the hosts an early lead, but Oupa Manyisa netted 30 seconds after the restart to bring the scores level. The match went into extra-time, where Jali scored a sublime winner to send the Buccaneers into the Final, to be played against either Kaizer Chiefs or Platinum Stars. Pirates suffered a setback before kick-off when Kermit Erasmus – who was on the original teamsheet – was forced to withdraw and replaced by Thandani Ntshumayelo. SuperSport started well and Thuso Phala had an early chance which he fired straight at Senzo Meyiwa. However, on 13 minutes they got the opener when the Pirates defenders dallied on the ball, allowing the home side to intercept. The ball found its way to Phala, who crossed for Niang to head home. Sameehg Doutie then fired over the bar against his former side before United suffered a setback when Ronwen Williams was stretchered off the field and replaced by Rowen Fernandez. The veteran keeper immediately proved his worth, twice denying Tlou Segolela, but he was powerless to prevent Manyisa from netting 30 seconds into the second half – Lennox Bacela supplying the perfect throughball. Pirates dominated the match from then on and should have taken the lead on the hour-mark, but Bacela fired over after a flowing move. SuperSport had a brief respite when first David Mathebula skimmed the woodwork with a free-kick and then Niang had the ball in the back of the net, but it was ruled offside. Pirates’ injury woes continued on 80 minutes when Rooi Mahamutsa suffered what looked like a dislocated elbow, with Lucky Lekgwathi coming on. The match went into extra-time, and again Pirates dominated without troubling the scorers. Segolela again shot well wide while Fernandez produced a world-class save to deny substitute Collins Mbesuma. But the goal did come on 111 minutes – and it was a beauty. Jali picked the ball up in midfield and passed to Mbesuma, who flicked it over the defence and onto the chest of the midfielder who had continued his run. He showed great composure to fire past the keeper and see his side through to the Final.